According to the Stamp Duty Act, “duty” means the stamp duty for the time being chargeable by law and is payable on certain signed instru­ments. Examples of Instruments include: agreements (excluding employment con­tracts); appointment of trustees (subject to exemption); bill of sale, exchange, lading; bonds (subject to exemptions); deeds, declarations of trust; insurance policies; notarial acts; order or payment; power of attorney. A document or instrument must be pre­sented for assessment of duty and stamp­ing within two months after signing or executing. During this time, any unstamped or in­sufficiently stamped instrument can be stamped without any fine, however, after this period; any late stamping will incur fines. Instruments shall only be regarded as presented for stamping when the duty is paid. However, if an assessment is disputed, the sum assessed may be paid to FRCA together with any fine until the matter is resolved. Where an instrument or a document is unstamped or was not properly stamped, and where the delay is more than two months but less than three months from the date of execution, the fine is 25% on the amount of duty or $2 whichever is greater. Where the delay is three months after the date of execution, the fine is 50% on the amount of duty or $4 whichever is greater. FRCA may at any time remit or reduce any fine incurred for late pay­ment. In this article, we will talk about Stamp Duty on Transfers and Mortgages of property. A property can be transferred from one person to another person through sale, death and by way of gifts as natural love and affection. Stamp Duty must be paid on all legal documents e.g. sales and purchase agree­ment or transfer documents which are collectively called instruments. Stamp duty is levied at three per cent on the transfer instrument and 1.75 per cent on the mortgage instrument. When buying a property, you must pre­sent your transfer and mortgage instru­ments for stamping within two months from when the instrument was executed. A property is not considered to be sold to the buyer until the transfer and mort­gage instruments are stamped and regis­tered at the Registrar of Titles Office. Instruments can only be accepted for stamping once the duty has been paid. However, conditional exemptions from stamp duty are available for first home buyers. This is for Fijian citizens who purchase their first residential property in Fiji, provided that this is their first residen­tial property in Fiji or elsewhere. This applies to instruments such as transfers, mortgages and leases granted for a term of more than 50 years where the mortgage is the only prime security for the repayment of the loan. Likewise, a first time residential prop­erty owner who sells this property is exempt from paying Capital Gains Tax (CGT). Ms Brown (vendor) owns a residential property which she bought for $150,000 and sold it to Mr Jones (purchaser) for $200,000. CGT is 10 per cent of the profit made from the sale of the property. $200,000 – $150,000 = $50,000 * 10% = $5,000. In some cases, instruments presented for assessment can be seized until all duty and fines have been paid. Once the Commissioner of Stamp Du­ties seal is placed on an instrument, this means that all necessary duties have been paid. When paying stamp duty, you have the option of paying cash or by cheque. Cheques must be made payable to the Commissioner of Stamp Duties. Post-dated cheques will not be accepted. Cheques must reach FRCS before the due date to avoid late payment fines. When you buy a property in Fiji, you need to pay stamp duty to Government. The amount is based on the market val­ue or purchase price of the property. In some cases, you may be eligible for an exemption. Whenever a property is bought or sold, a Transfer of Land document must be lodged and registered (usually by your lawyer) to record the change of owner­ship. The cost to register this title varies in Fiji. In addition to the registration fee for the Transfer on Land document above, there is also a registration fee to register the mortgage document. This fee is usually paid to the Titles Office on your behalf by your lender (Bank). Whenever a property changes owner­ship, a search of the Certificate of Title is obtained from the Title Office. This is to check if there are any encum­brances (things like mortgages, caveats and restrictive covenants) on the title. This search is also used to check that the details on the Certificate of Title are correct. The cost of the search varies and is usu­ally paid on your behalf by your lawyer or lender (Bank). Mr. Amena (vendor) owns a commercial property and sold it to Mr. Finiasi (pur­chaser) in 2013. Mr. Kumar (mortgagor) took a loan from Home Finance Ltd (mortgagee) for $120,000 to purchase a property in Pacific Harbor. Mr. Kumar needs to pay stamp duty on the mortgage documents. The stamping of instruments is done within a day for duty payable cases pro­vided all required documents are pre­sented. And, in three working days for those ap­plying for conditional exemption from stamp duty payable. The stamped documents are then taken to the titles office for the registration of transfer of property ownership. Once this process is completed, you be­come the proud owner of your own prop­erty. 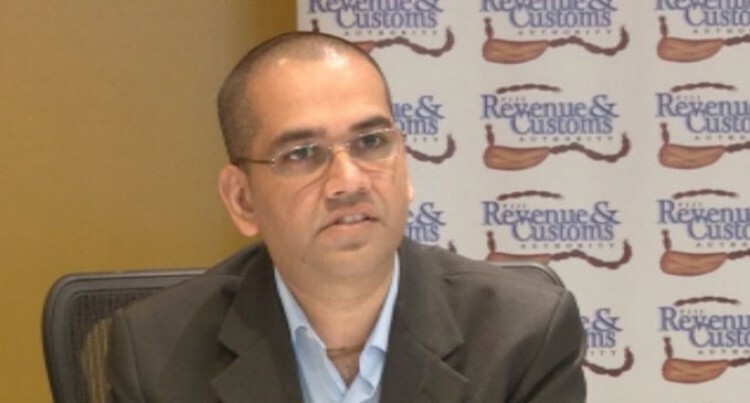 Fiji Revenue and Customs Service chief executive of­ficer Visvanath Das.